This paracord key fob is hand woven using all black colored military spec., 300-lb. paracord. 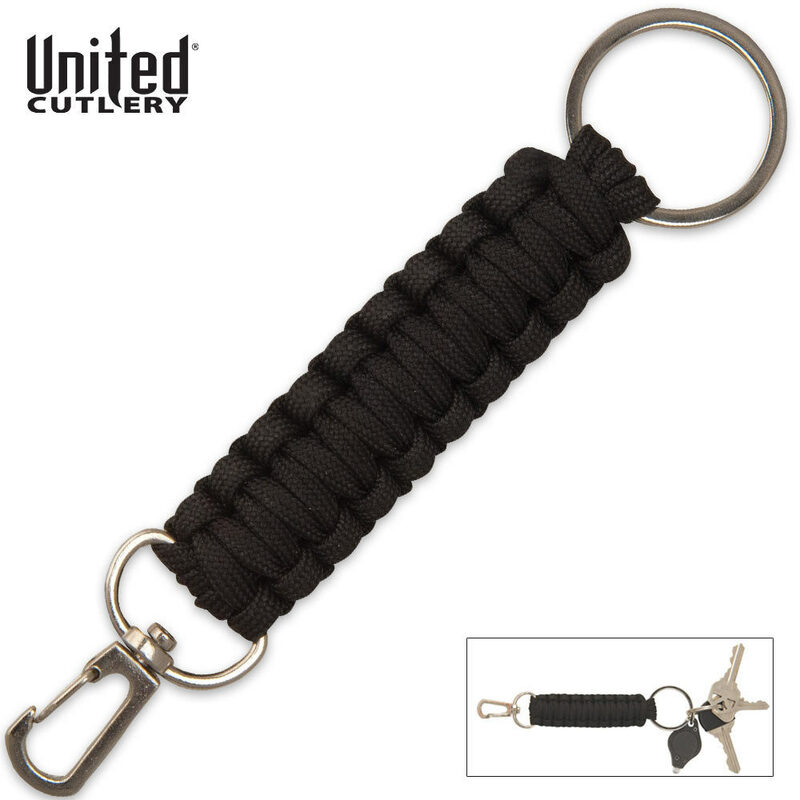 This keychain can be unwound in survival situations to produce approximately 6 feet of usable survival cord. It could be used for shelter building, splint building, spear lashing, building animal snares, restraints and many other tasks. 5 1/2 in. overall.